actually enjoy and want to use. match the way your salespeople want to work. 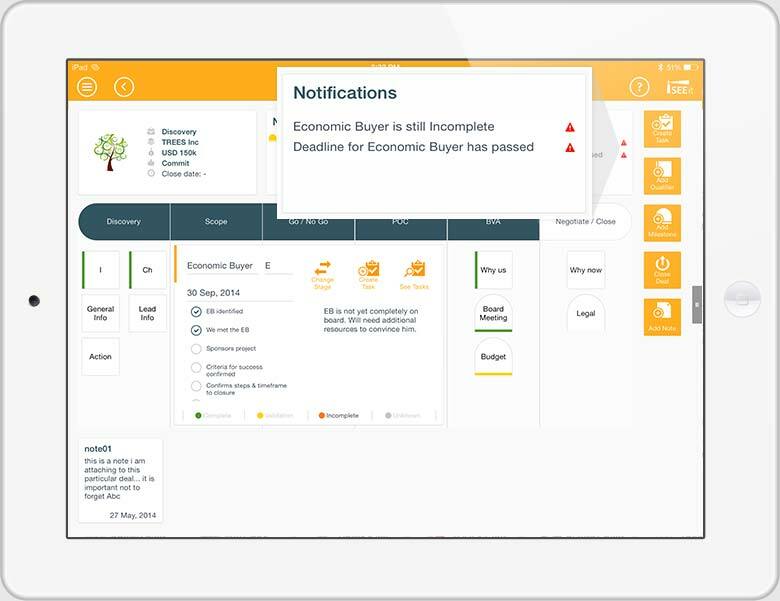 From the ability to enter information with the minimum of clicks or taps, to automated reporting fuelled by one-time data entry, iSEEit is a solution your salespeople will genuinely want to use. 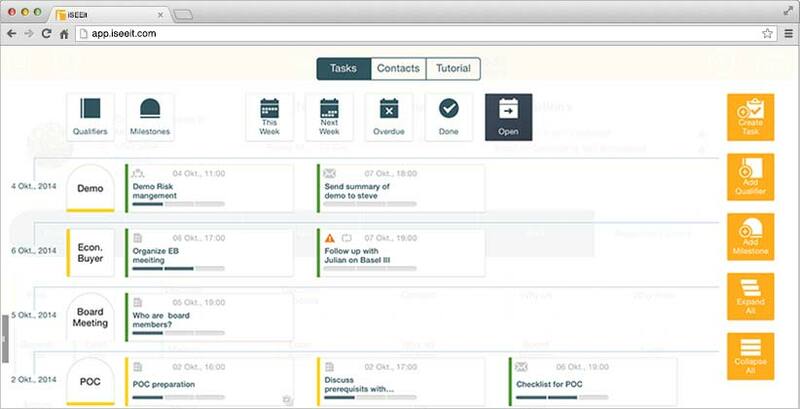 iSEEit incorporates a wide range of features that salespeople will find invaluable in their day-to-day activities, and removes the need for much of the manual work they normally have to do. 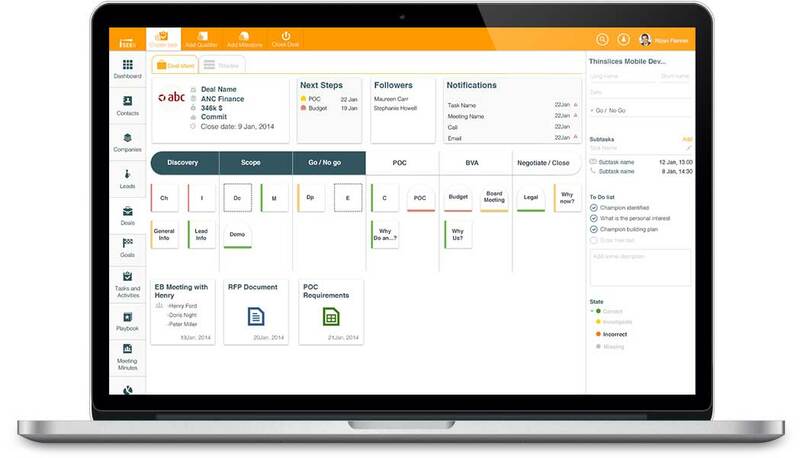 By making the sales process much more natural and intuitive, iSEEit helps salespeople think more deeply about their role as a salesperson, and makes them better at what they do. So, for example, iSEEit gives sales reps a visual understanding of each of their deals, to which they can add further details as the deal progresses. 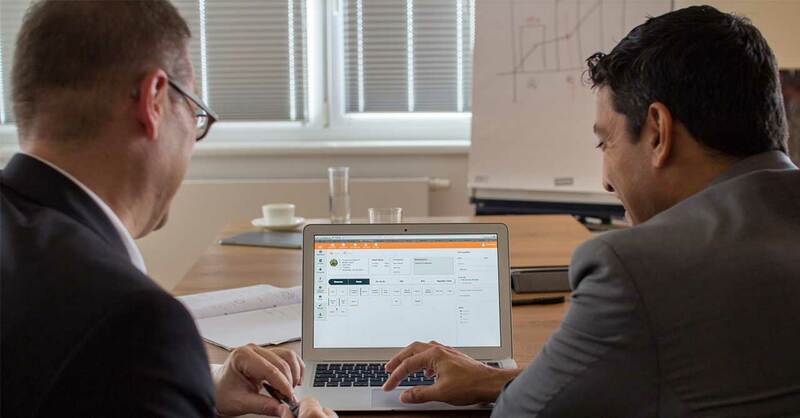 If anything is required or missing from a deal (such as a demo or meeting to be arranged, or a contract that needs to be signed), iSEEit will red flag this and highlight who in the sales team is responsible for moving the deal forward.